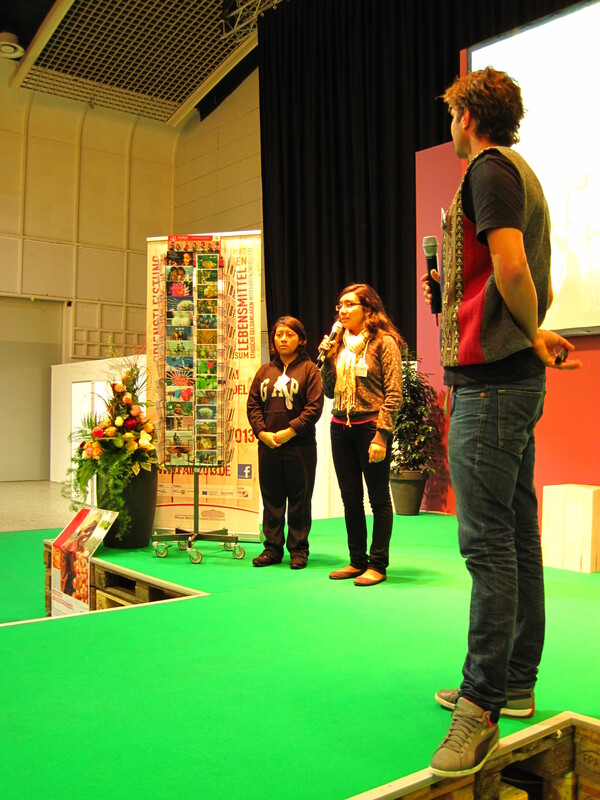 On the 11th of September, after travelling through Europe with two of FairMail Peru’s teenage photographers for three weeks, FairMail’s fourth European promotion tour ended. After flying to the Netherlands for the first time in their lives Yuli and Yomira drove more than 3.000 kilometers through Belgium, France and Germany. 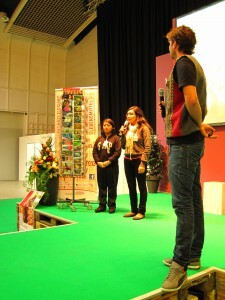 >> Presented FairMail on the main stage of a B2B fair trade fair in Dortmund. >> Gave 7 interviews to different newspapers and magazines (view here). >> Saw their cards selling in 4 shops. >> Learned what cards do and don’t sell well from 2 of their sales representatives. >> Visited 1 music festival to sell their cards directly to the end consumer. >> Took 2.400 pictures of Europe to show their family back home. >> Met up with nearly 40 ex-volunteers of photography trip travelers who visited Peru in the past. >> Ended up with interesting 2 powerpoint presentation to present the results of their marketing studies to their colleagues in Peru and India. Check out more pictures of the tour on FairMail’s Facebook page.